Max. 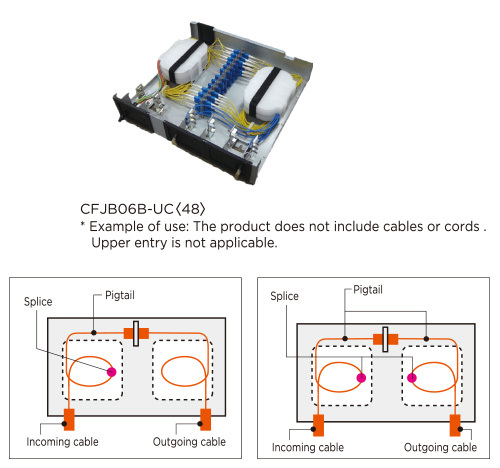 120-fiber termination for both incoming cable and outgoing cable to allow various configurations. Cable fixtures available for each cable entry according to the sort of cable.